Has your house been on the market for quite some time already? This can be a worrisome situation to be in, especially if you are doing this for the first time or if you are in a hurry to sell. Well, your worry is not misplaced since a property’s days-on-market (DOM) can affect its value. Oftentimes, houses that have been sitting on the market for too long do not usually sell for its list price. Naturally, this is something that you do not want to happen. So, make sure you know the reasons why your house is not selling and make the necessary adjustments ASAP. Your price is not right. Every house sellers’ goal is to make good money. Yet, in their desire to make this goal happen, some homeowners overprice their house. Apart from thinking that their property is really worth the inflated figure they’re asking, certain house sellers do this to “test” the market. They set a very high selling price to see if someone might buy it. If no one buys, then they adjust the value. The thing is, overpricing for whatever reason does not in any way sell a house fast. Therefore, it is imperative that you set the right selling price at the onset. Furthermore, when coming up with a figure, do not just look at your house and the updates you’ve made; you must also consider your property’s location. Where your house is situated can have a huge impact on its price. To price your house right, you can review comparable sales. You may also enlist the help of your real estate agent in determining the best price for your house. You chose the wrong real estate agent. Selling a house fast and at good price requires expertise which veteran real estate agents have. Experienced agents know how to market and show your property to get more visits and offers. Apart from selling your property quickly, competent and trusted real estate agents do their best to make the entire process hassle-free for clients like you. So, make sure that you carefully select your real estate agent. Don’t solely decide based on the fees. In fact, the agent’s fees should be the last thing you should consider. What you must focus on is his/her experience, including his/her years in the industry and the number of houses he/she has sold. It is also important that you learn about his/her process, especially his/her marketing strategy. Your home is in a bad state. No buyer would want to place an offer on a house that looks dinghy or poorly maintained. If you want to sell your house fast, make it presentable. Spend on staging or consider making minor renovations, especially if your competitors outshine your house. To determine, if you need to make upgrades or what changes you must do, check out other houses in your neighbourhood that are pending sales. Use these properties as your benchmarks. You can also ask help from your estate agent on what improvements you can make on your house. You are not marketing your property enough. Successfully selling a house requires massive marketing efforts. It is not enough that you put up a for-sale sign on the yard or give out flyers. You need to utilise all marketing strategies available. Place ads on property portals and social media. Ramp up your marketing campaigns on weekends. Schedule open houses on days other properties in the neighbourhood are holding theirs. Invest on your marketing materials, especially your photographs. It is highly important that your ad contains excellent photos of the property. Hire a professional photographer if you can. Home buyers also pay attention to listings with more pictures. So, make sure you have several photos on your ad. As much as possible, take a photo of all rooms in the house. Know the reasons why your house is not selling. 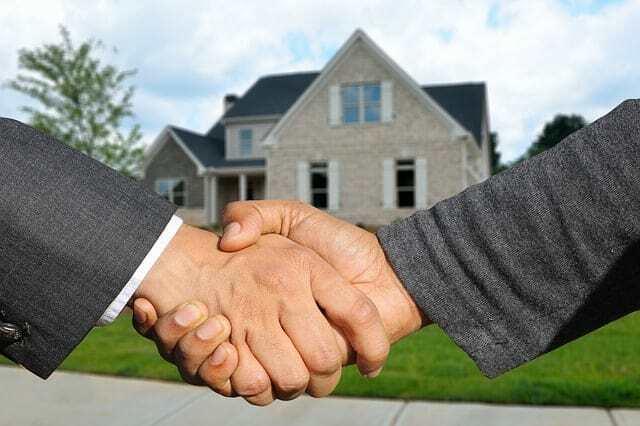 Talk to our experienced real estate agents and let them help you sell your house fast. Call us at 014959020.